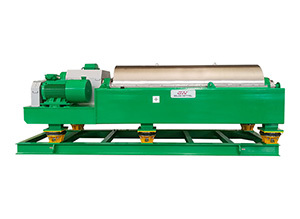 GNLW means horizontal spiral type which is a normal model of decanting centrifuge GN Solids. 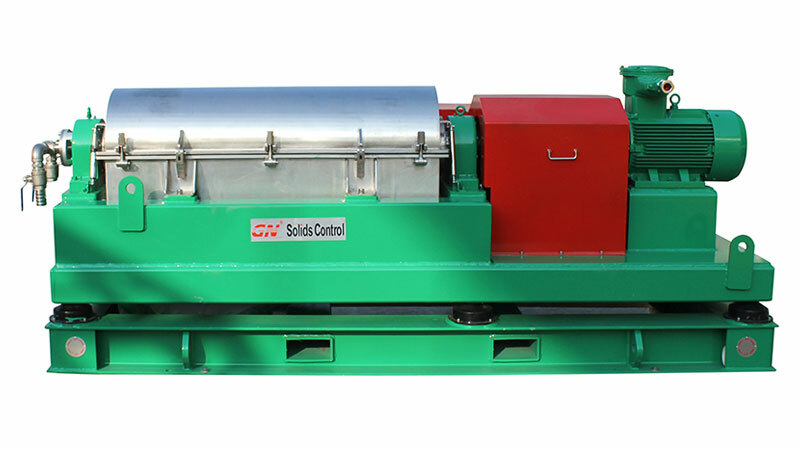 Decanter Centrifuge is the last stage equipment in drilling mud system for solids control and mud cleaning. The superiority of Decanting Centrifuge is embodied in the solids processing size. 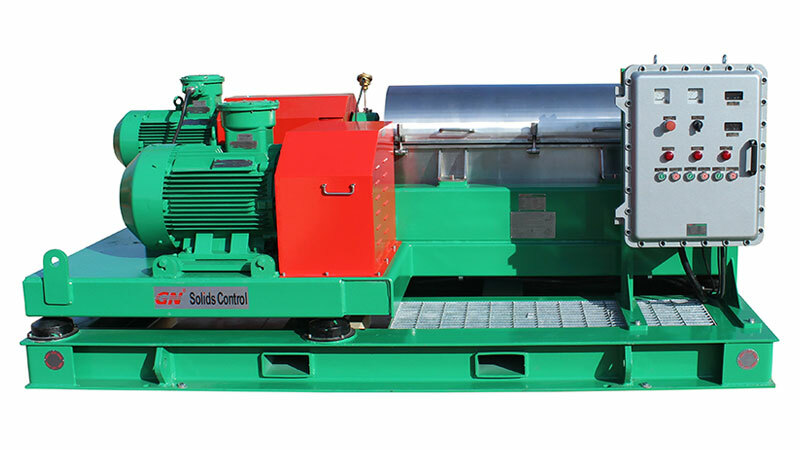 Decanter Centrifuge could remove the solid particles with size 2-7 microns using the principle of centrifugal action, it is an ideal choice for separating particles in drilling mud. 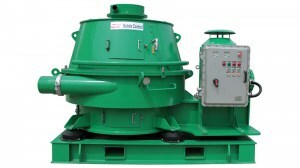 Always there is a screw pump or submersible pump to feed the mud to Decanter Centrifuge. After the drilling fluids being fed into the centrifuge drum, under the function of centrifugal force, solid phase particles are pushed to the internal wall of the drum, then to the solid discharge export of the small end of the drum and excreted. While the fluids is excreted from the overflow hole of the large end. Such cycle is to achieve the purpose of continuous separation. High speed decanting centrifuge are more effective for separation of fine solids. The ecomonic configuration decanter centrifuge is in the bottom table. Decanter Centrifuge Bowl Cylindrical and Conical section made from Duplex Stainless Steel 2205 by centrifugal casting. Centrifuge Other Parts of the bowl assembly material: stainless steel SS316L. Screw protection: Tungsten Carbide Tiles for longer life and easier replacement. Centrifuge Screw flow distribution port and bowl solids discharge port protected by tungsten carbide alloy. 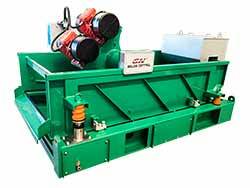 Easily adjustable liquid discharge weir height for flexible decantrer centrifuge application. Bowl assembly supported by tighten belt for protection of bearing in moving. Other Parts of the bowl assembly material: stainless steel SS304. 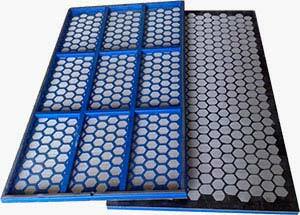 Screw protection: Ceramic Tiles for longer life and easier replacement. Bowl assembly supported by tighten belt for protection of bearing inmoving. 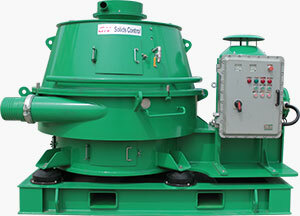 Decanter centrifuge is the final processing units in the arrangement of solids control equipment. 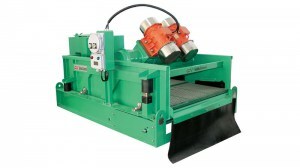 It could be used to process unweighted and weighted, water-based and oil-based drilling fluids (muds). On oilfield, middle speed centrifuge is used to recycle the the barite and bentonite in solids control system, high speed decanter centrifuge could separate the fine solids in drilling mud after the desilter unit. Meanwhile, high speed centrifuge centrifuge is always applied in drilling waste management to recover the valuable drilling fluids. 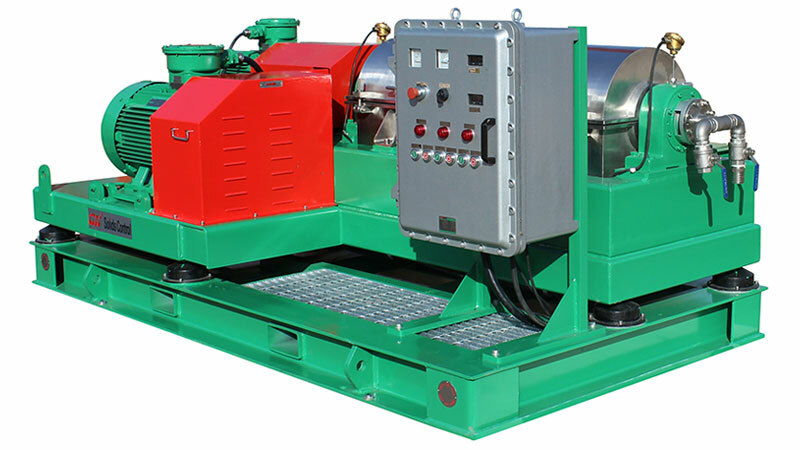 Typically, oilfield decanting centrifuge is preceded by gas busters, gumbo removal equipment (if utilized), shale shakers, mud Cleaners (if utilized), Vacuum degassers and hyrdocyclones. 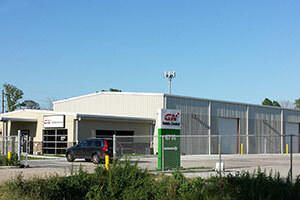 GN Solids America, your reliable supplier for drilling mud Decanter Centrifuge. 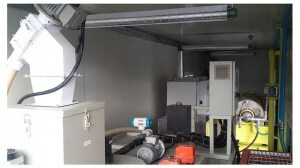 The mud dewatering unit is an excellent solution that could provide the separation processing for the ultra fine solids particles, always less than 5 microns, in the water base drilling mud.